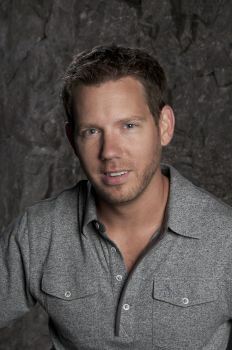 Epic Games Design Director Cliff Bleszinski has left the company. In a surprise development, Cliff Bleszinski, who has been with Epic Games since the days of Jazz Jackrabbit and is best known for his work on the Gears of War franchise, today announced his departure from the company. "I've been doing this since I was a teenager, and outside of my sabbatical last year, I have been going non-stop. I literally grew up in this business, as Mike likes to say. And now that I'm grown up, it's time for a much needed break," the man known as CliffyB wrote in a farewell message to colleagues. "I will miss the projects, the playtests, the debates, and most importantly, the people. Epic only hires the best of the best, and it has been a joy working with each and every one of you on a daily basis, whether you were hired weeks ago or decades ago," he continued. "I have been fortunate enough to collaborate with a variety of disciplines, from code to art to marketing and PR - it's been one big, rewarding learning experience. I'm confident that each project that is being built, whether at Epic, Chair, PCF, or Impossible will be top notch and will please gamers and critics alike." "In 20 wonderful years with Epic, Cliff Bleszinski has grown into a true design luminary, and his contributions to the Unreal and Gears series have helped shape the game industry into what it is today," Epic co-founder Tim Sweeney said. "Cliff leaves Epic with our gratitude for his many contributions, and our wishes for continued success in the next chapter of his life!" Bleszinski hasn't commented on his departure or his plans for the future, but a "so long and thanks for everything" thread is underway now at the Epic Games forums.